Time to name a movement? In this post, Ryan Cragun asks if it is time to give nonreligious movements a name. If so, what might this name be? And how, as an academic, can he avoid the pitfalls of labeling a group from the outside – rather than from within. In the last five years or so, scholars have begun to think about informal and organized atheist, agnostic, humanist, secularist, nonreligious, and freethought activity as a social movement (Cimino and Smith 2007, 2011; LeDrew 2013; McAnulla 2012; Smith 2013). All the relevant indicators seem to suggest that this is a social movement and I think there is a need for more research in this area to better understand it as a movement. However, the focus of this blog post is to develop a rationale for suggesting that it may be time to try to come up with a name for this movement. I don’t have “THE” name nor am I suggesting that there should be a single or correct name. The LGBT movement has suffered from a similar quandary – what to call the movement for equal rights and equal treatment for gender and sexual minorities. The many suggested names (e.g., SGL, MSGI, FABGLITTER, QUILTBAG, LGBTQ+), are a testament to the difficulties that arise when trying to come up with a name for a movement. All I am going to suggest is that there is a coherent and relatively uniform agenda for the various social movement participants – both among organizations and among individual activists – and that the common agenda may hold some promise in determining the name. Atheists are a movement constituency. There are a number of organizations that include variants of “atheist” in their names: American Atheists, Atheist Alliance International, Military Association of Atheists and Freethinkers, etc. Humanists are a movement constituency. Like atheists, there are a number of organizations that include variants of “humanist” in the name: British Humanist Association, International Humanist and Ethical Union, American Humanist Association, etc. Freethinkers are a movement constituency. There are organizations that include “freethinker” in the name: Military Association of Atheists and Freethinkers, Flagstaff Freethinkers, Hispanic American Freethinkers, etc. Agnostics are a movement constituency. There are organizations with “agnostic” in the name: The San Diego New Atheists and Agnostics, Brazilian Association of Atheists and Agnostics, etc. Secularists are also a movement constituency, though, of course, there are complications with what “secular” means (Kosmin 2007; Lee 2012). Some organizations have included variants of “secular” in their names: Secular Student Alliance, The Secular Society, Iran Secular, Scottish Secular Society, National Secular Society, etc. Other categories of people who are also likely constituents of this movement but their labels are less likely to appear in the names of groups or are somewhat ambiguous and potentially broader than movement members include: nonreligious individuals, Brights, rationalists, skeptics, ex-Muslims (or “ex” groups in general), ethical culture/society, and infidels. In my own writing, I find myself debating between two options. First, I could misleadingly call this the “XXXXXX” movement, and simply choose one of the more prominent constituent groups (e.g., atheists or humanists). The problem with this approach is that it then assumes that the movement is just about that group, or the interests of that group, when, in fact, the movement is a coalition of groups, organizations, and categories. The second option is to list all of the constituent groups, as in, “the atheist, humanist, freethinker, agnostic, secularist, Bright, rationalist, skeptic, nonreligious, “Ex-”, ethical culture, and infidel movement.” That, of course, is ridiculously long, overly cumbersome, and to be completely honest, unpublishable. What to do? I don’t have an answer as to what to do, precisely, but I thought that looking at the aims of the various organizations involved in the movement might add some light to this discussion. While there are thousands of organizations that would fall under the umbrella of atheist, humanist, secularist, and freethought activism and advocacy (see here and here), there are just a handful that are very large and particularly prominent. Since I’m in the US, I’m going to focus on the US, but I’m guessing a similar analysis of other large organizations in predominantly Christian countries outside the US would find similar results (this might make a good project for a graduate student). The Secular Coalition for America is a 501(c)(4) advocacy organization whose purpose is to amplify the diverse and growing voice of the nontheistic community in the United States. We are located in Washington, D.C. for ready access to government, activist partners and the media. Our staff lobbies U.S. Congress on issues of special concern to our constituency. Our member organizations are established 501(c)(3) nonprofits who serve atheists, agnostics, humanists, freethinkers and other nontheistic Americans. Their purpose in founding the coalition was to formalize a cooperative structure for visible, unified activism to improve the civic situation of citizens with a naturalistic worldview. A number of additional organizations have endorsed our mission statement. The relatively recent founding of the SCA in 2002 and the UnitedCoR (2009) suggest that the coalescing of effort and interest on the part of the largest advocacy groups has resulted in a collaborative effort among the organizations to pursue a common aim: the normalizing of nonreligion and nonbelief in the US. Of course, I’ve only looked at six organizations involved in this movement. Someone should look at more organizations to see if I have accurately characterized the common aim of the movement. My point here is just to suggest that the prominent organizations in this movement do seem to have a shared goal. Yet, to date, there is no name for this movement. One advantage to an initialism/acronym approach would be that, unlike the LGBTQ+ initialism, many of the words that are the source of the initials can be thought of in two ways. For instance, there are “Atheists” and there is “Atheism.” Atheists are those who have adopted Atheism. (I don’t think this works with “Gay” and “Gayism”, but please correct me if I’m wrong.) Thus, a properly constructed acronym/initialism could actually be used in two ways. If, for instance, the acronym that was adopted was SHAF+, it could mean “Secularists, Humanists, Atheists, Freethinkers, and others,” referring to the people, or it could mean “Secularism, Humanism, Atheism, Freethought, and others,” referring to the ideology. In considering the idea of a name for this movement, I wondered if I shouldn’t write up a paper that I could publish in a journal. A publication in a peer-reviewed journal would always help my C.V., but then I realized that the idea of naming a movement isn’t something that should dictated by an ivory tower academic or suggested in a stagnant journal, where the suggestion can’t be challenged, modified, or reinterpreted. However, a blog is the perfect place for engaging in a discussion like this. I’m hoping that posting the suggestion that this movement needs a name to the NSRN blog will begin a conversation. I’ll monitor the comments below and respond where and when I can, but perhaps this post will raise a wider conversation as to whether or not a name for this movement is appropriate and, if so, what that name should be. Cimino, Richard, and Christopher Smith. 2007. “Secular Humanism and Atheism beyond Progressive Secularism.” Sociology of Religion 68(4):407–24. Cimino, Richard, and Christopher Smith. 2011. “The New Atheism and the Formation of the Imagined Secularist Community.” Journal of Media and Religion 10(1):24–38. Kosmin, Barry A. 2007. “Introduction: Contemporary Secularity and Secularism.” Pp. 1–16 in Secularism and Secularity: Contemporary International Perspectives, edited by Ariela Keysar and Barry A. Kosmin. Institute for the Study of Secularism in Society and Culture. LeDrew, Stephen. 2013. “Discovering Atheism: Heterogeneity in Trajectories to Atheist Identity and Activism.” Sociology of Religion srt014. Lee, Lois. 2012. “Research Note: Talking about a Revolution: Terminology for the New Field of Non-Religion Studies.” Journal of Contemporary Religion 27(1):129–39. McAnulla, Stuart. 2012. “Radical Atheism and Religious Power: New Atheist Politics.” Approaching Religion 2(1):87–99. Smith, Jesse M. 2013. “Creating a Godless Community: The Collective Identity Work of Contemporary American Atheists.” Journal for the Scientific Study of Religion 52(1):80–99. 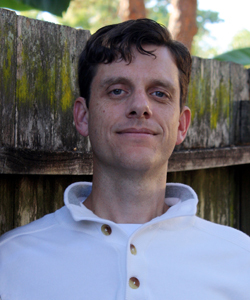 Ryan T. Cragun is a sociologist with a primary interest in religion, specifically Mormonism, the nonreligious, and secularization. His research has been published in a variety of journals, books, and magazines, including Journal for the Scientific Study of Religion, Sociology of Religion, Journal of Contemporary Religion, and Nova Religio. He is also the author of two books: Could I Vote for a Mormon for President? and What You Don’t Know About Religion (but should). When not working, he is typically spending time with his partner and son, tinkering with computers, cooking, or hiking. This entry was posted in Expanding the Field, NSRN Blog, Research Questions and tagged Atheism, freethinkers, humanism, nonreligion, Ryan Cragun, secularism, terminology, U.S.. Bookmark the permalink. 11 Responses to Time to name a movement? SHAF+ is my favorite, too. That or “secular,” though there is a lot of baggage with secular. I wonder, what speaks against also finding out, if those groups (that with the aims you describe are likely to be found in the US, but probably not in Europe), respectively, people to be counted as part of the movement, actually perceive themselves as such? The danger of nameing could be – in a classical Marxian sense – that the label raises the self-consciousess, and that thus the researcher could become in parts also a creator of his object of study. I do not doubt that there already is a movement, but an academic “confirmation” usually has an impact, especially on people on the margins. C. Königstedt, you make two good points. First, I’m not sure whether the movement aims are the same in Europe or in the rest of the world. As I mentioned, I think that would be a great project for a student. Second, while it could be seen as problematic that researchers may influence the movement, I’m not all that concerned about it. Researchers have studied many movements while they have been underway and have influenced those movements as well (e.g., du Bois with the early movement for black/African American rights). Some of us may actually want to influence (read: “help”) the movement as well. But I think your point does return to my point about a naming process being “organic.” Researchers may settle on a name we can use in our work, but it may not transfer to the movement through movement leaders. Or maybe it will get modified in its transfer. Or maybe our giving the movement a name will lead the movement to develop a better one, that we can then adopt. I’m fine with whatever occurs. Ryan Cragun, I surely get the point of practiality (+ I do agree), though I doubt Identifying the aim of nonreligious movements in Europe would be job for a student. Europe is indeed very diverse; I only partly worked on French secularists and found their historical depth amazing, and of course, that they have varying aims. In any case, since, as “Russ” pointed out, nonreligious movements could be especially susceptible to scienific reasoning, I would not wash this thought away too lightly. Evidence-based. That is what is held in common by all the belief systems NOT rooted in a fixed, permanent, unchangeable revelation. Typically they seek to test and disprove their own ideas in ways that can be measured or replicated by skeptics. That is unique and distinctive (and important!). I think I mostly agree with you. But I’m not sure I do 100%. First, the movement does have some allies who are not evidence-based in all their thinking (i.e., skeptics, if you will). For instance, Americans United for Separation of Church and State has many religious, believing members, most of whom also want the normalizing of nonreligion, even if they remain religious. While AU may not be central to the movement, they are closely related to it. Second, many members of the movement retain some non evidence-based beliefs (e.g., the existence of love or the belief that there is no god, neither of which are really evidence-based). I don’t mean to start a philosophical argument about what counts as evidence-based and what doesn’t, but so long as members of the movement retain some beliefs that are not based on evidence (which I think all of us do), I’m not sure that we can refer to this as a skeptical movement. Third, the skepticism movement, while closely related to the nonreligious/secular/SHAF+ movement, does not overlap perfectly. CFI, for decades, kept its dual focus on secularism and skepticism separate and only just combined them in the last couple of months. And many skeptics, while also nonbelievers, are just not interested in fighting religion. They would rather fight pseudoscience. I think the Skeptics Guide to the Universe podcast is a good illustration of this. They only rarely go after religion on that podcast, and typically only when a religion makes demonstrably false claims about reality. The rest of the time, their focus is on science, pseudoscience, and the paranormal. I wouldn’t mind if these two approaches – skepticism and normalizing the nonreligious – eventually merged, but I’m not sure that is the focus of the normalizing the nonreligious movement in the US right now. I use the term “secular movement” because (1) it seems to have fairly widespread usage by those within the movement themselves; (2) it works as an umbrella term for all the different factions because it is inclusive of atheists and humanists etc. without being specific to any of them; (3) it identifies what I think has to be a common core characteristic and belief or set of beliefs, namely that the movement is non-religious (or overwhelmingly so, if not without some minor exceptions) and that its members believe that religion should not serve as a basis for social and political organization. It’s not perfect but as I see it this is the best option.